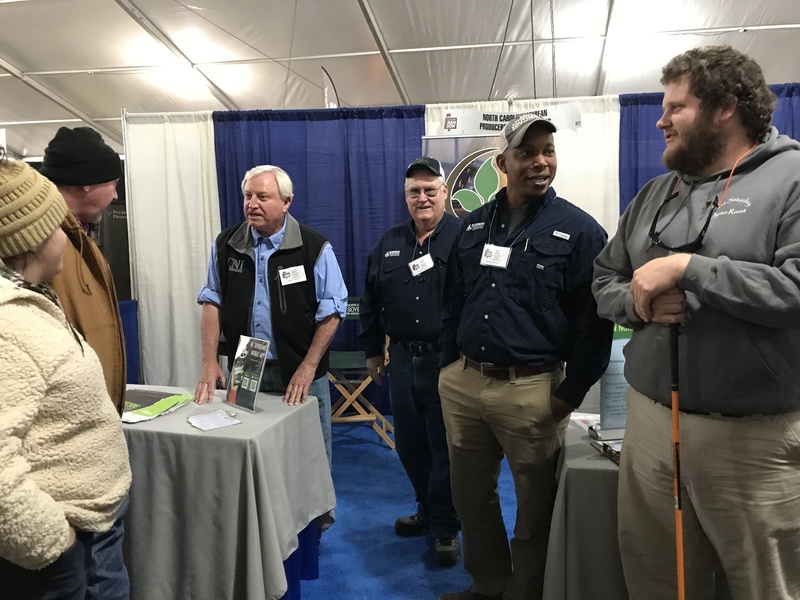 Did you catch the Southern Farm Show last week? The NCSPA did! It was a great few days to catch up with members and share all the great resources the association has available to help improve yields and profitability. If you missed it, be sure to check out the NCSPA’s new app to get all the latest information. Just search “NC Soybeans” in the app store or on Google Play and download it for free. It has a mobile version of the N.C. Soybean Production Guide, a Variety Selection Tool, local elevator prices and Chicago board of trade prices updated in real time, the latest updates from the NCSPA, and links to resources from the Association and N.C. State. There are many resources available at ncsoy.org and you can sign up to get regular updates of new information by clicking the “Sign Up Now” button near the bottom of the home page.